Crystal hails originally from Los Angeles, CA - where her musical parents gave her a head start by including her in the family business the moment she was able to contribute. She went on to study classical voice, piano and music theory at The Boston Conservatory of Music. After concluding her studies in London, she returned home and began working regularly as a theater performer, appearing in twenty world premiers and re-imagined classics. Most notably she played the lead role of Keely Smith in the big band jazz musical “Louis and Keely: Live At The Sahara” during its eight-month run at Westwood’s Geffen Playhouse. She also formed her own rock band, The Honeysuckle Jones Revival, with whom she performed her own songs all over Los Angeles. And she began working as a studio session vocalist, providing demo vocals for other songwriters, as well as arranging and performing back-up vocals for original artists, including Laura Roppe (currently in the Top Ten on Billboard’s Uncharted list of emerging artists.) Crystal played the lead role of Brooke in the new operatic rock musical “The Burning Opera LA” during its Los Angeles run in 2011 as well as providing ensemble vocals and playing piano and bass. She also performs holiday tunes from the Golden Age of American songwriting with musical quartet The Sleigh Belles. I teach the kindergarten and 1st grade curriculum for this Music In the School program. I teach beginning through intermediate piano students. I wrote and teach this innovative classroom course for grades K-12. Part theater workshop, part lecture/discussion and part role-playing game, Shakespeare For Kids immerses students in the life and times of Shakespeare and makes the words come to life, while helping students develop the soft skills necessary for workplace success. I co-founded this company which provides early childhood music education for ages 0-5. I design curriculum, teach Mommy and Me, daycare and pre-school classes, and provide party entertainment for kids. I taught general music to elementary school students with an emphasis on the Orff Schulwerk approach. I operated School of Rock's early childhood program with its focus on rock and soul music. Ages 3-6. Innovative music through literacy program for grades 3-6. I taught it and wrote new curriculum to state standards. I provided vocals and shadow work, as well as playing piano and bass during this sold-out musical's Los Angeles run. I played the lead role of Keely Smith during this smash hit's 8-month run at Westwood's Geffen Playhouse, under the direction of Taylor Hackford. With original band The Honeysuckle Jones Revival at The Gig on Melrose. On piano during The Burning Opera LA. 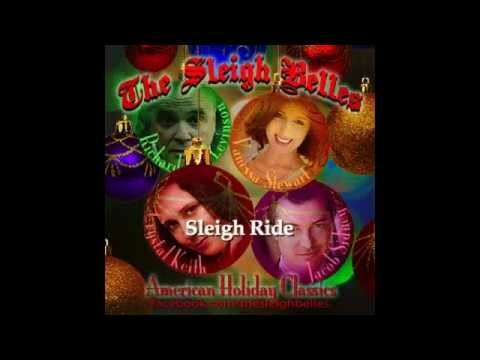 Crystal sings her trademark holiday tune "Sleigh Ride" with her festive quartet The Sleigh Belles. 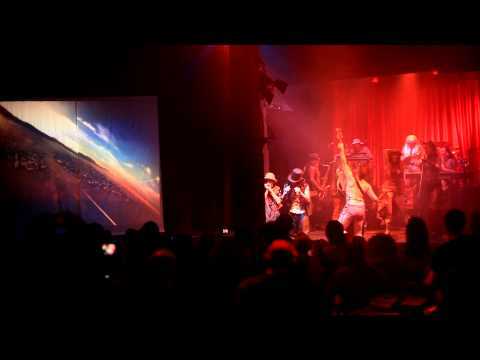 Crystal performs piano and backup vocals with the ensemble of The Burning Opera LA at King King in Hollywood. I have been taking lessons from Crystal for a few months now. I took lessons from others before I moved to the area, and I have had multiple new breakthroughs with Crystal. She is great at finding the language that allows me to understand adjustments, and is very patient and understanding. I was at ease from the first moment I met her. I highly recommend her to other adults looking to get into singing of any kind! This product has great features and they are very friedly and helpful. She is very friendly, even though, she is not always on time. She has a very positive attitude and teaches for the required time and not a minute more. I wish she take time to get to know her students in order to personalize her teaching. I also wish she would have some sort of constructive criticism rather than always say that my child "is doing good." My lessons are going great. I love the one on one time I'm getting with my teacher. There are nothing, but positive vibes during lessons. I'm extremely happy with this class :)-Nikki.